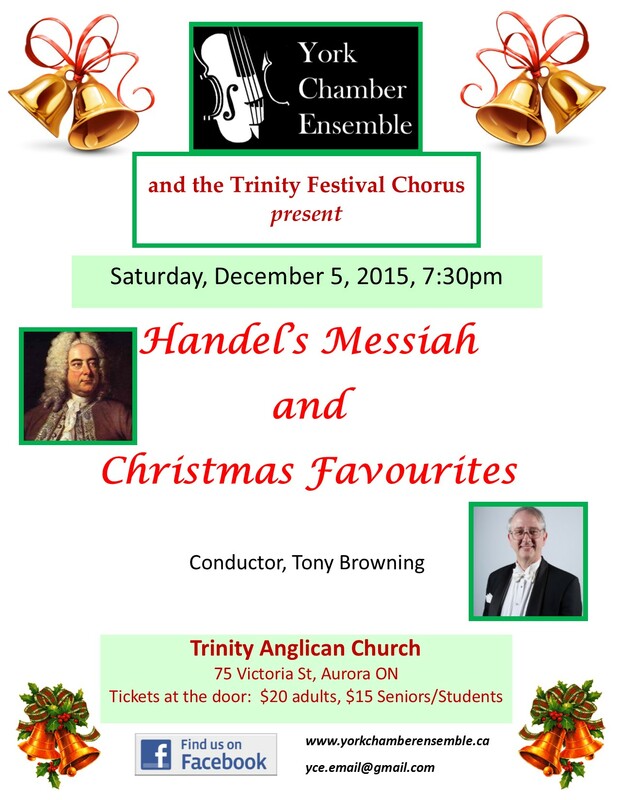 Handel’s Messiah and Christmas Favourites! This entry was posted in Christmas Concert, concerts in Aurora, concerts in GTA, concerts in Newmarket area, Concerts in York Region, YCE concerts by yceadmin. Bookmark the permalink.